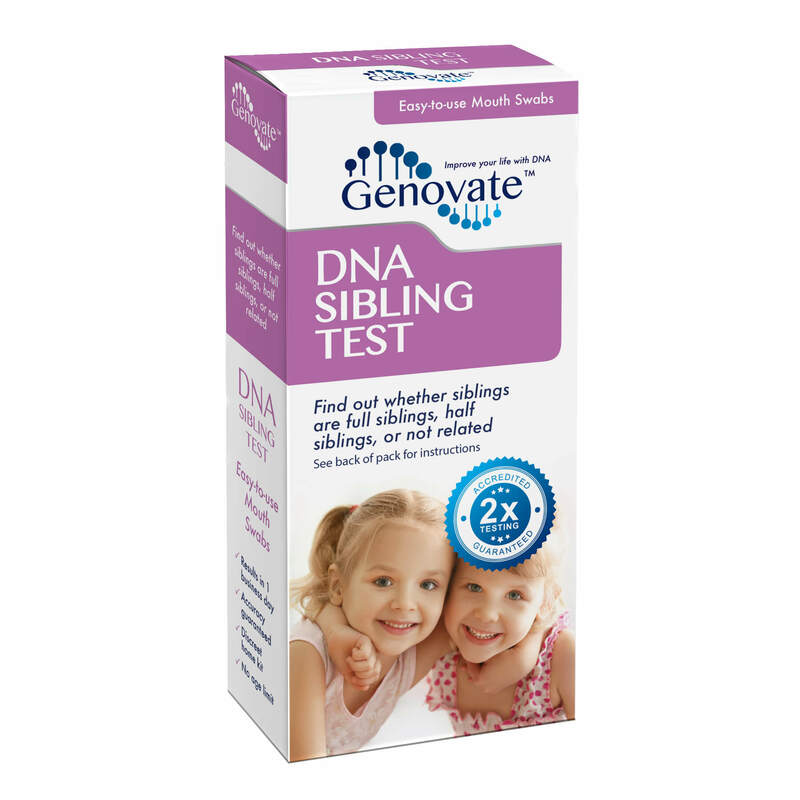 This DNA Grandparent Test (Private Home Kit) is an ideal way to determine the likelihood that an alleged grandparent is the biological grandparent of a grandchild, when the parent in question is not available for testing. 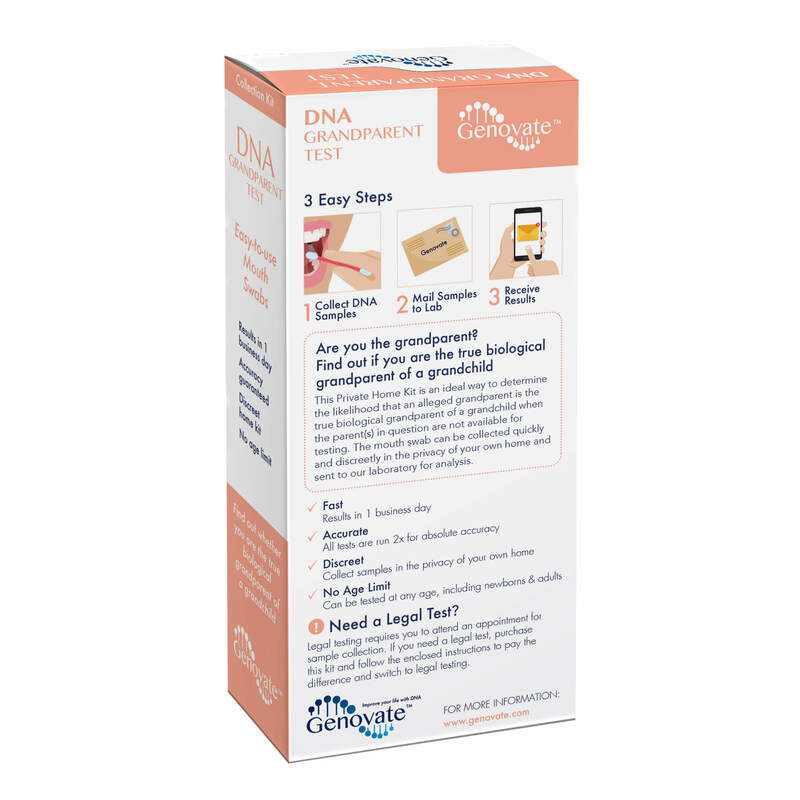 The mouth swab can be collected quickly and discreetly in the privacy of your own home and sent to our laboratory for analysis. You will receive your results in your online account or by mail or email. 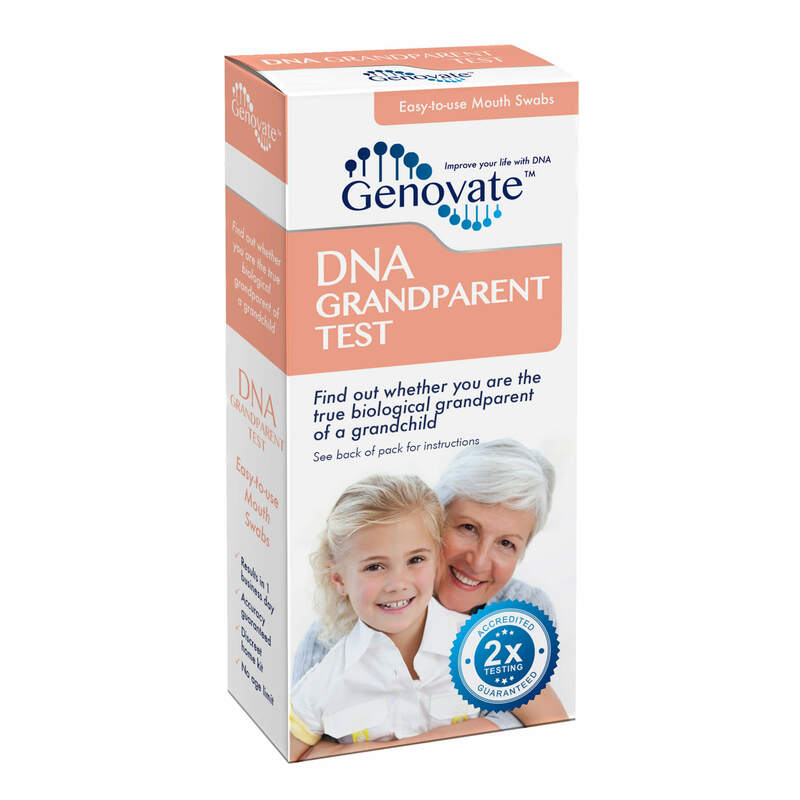 The DNA Grandparent Test is used in situations where the alleged parent(s) are not available for testing. 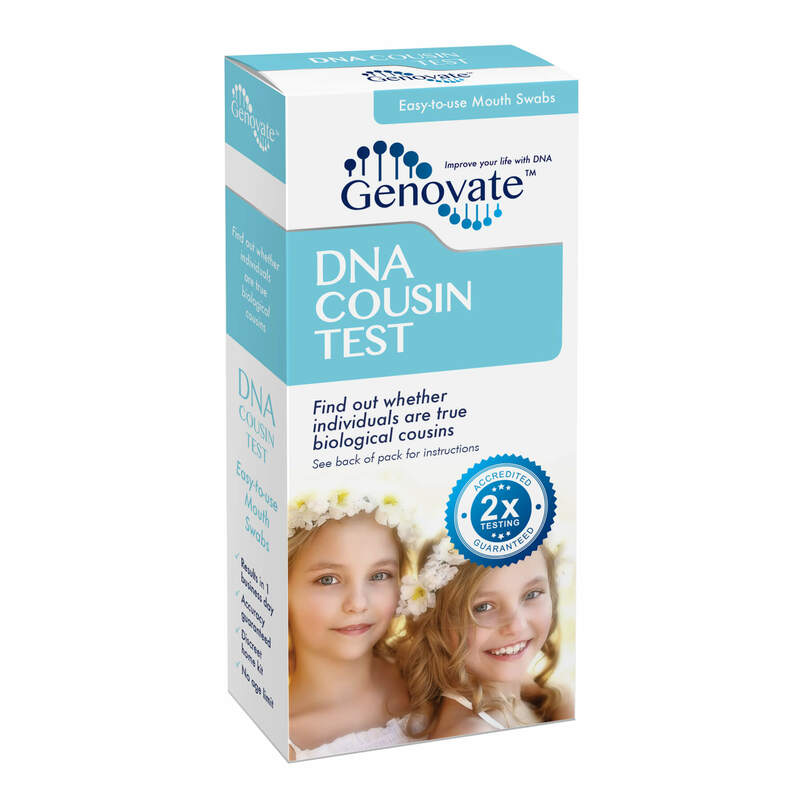 Either the grandmother, or the grandfather, or both, can take the DNA Grandparent Test to investigate the likelihood that they are the biological grandparents of a grandchild. 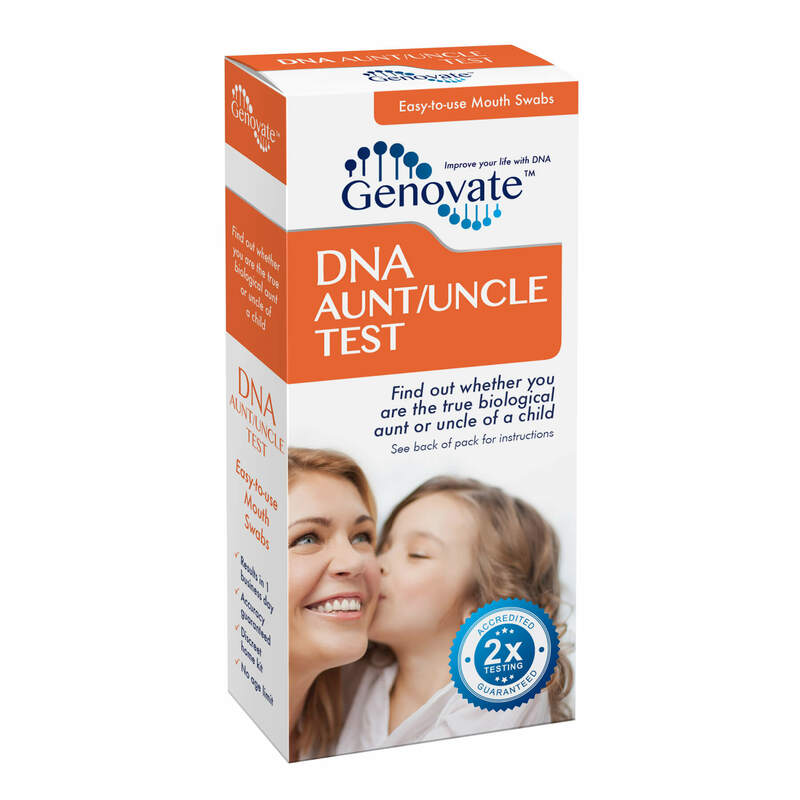 During a DNA Grandparent Test, a buccal (mouth) swab sample is collected from the child and the alleged grandparent. 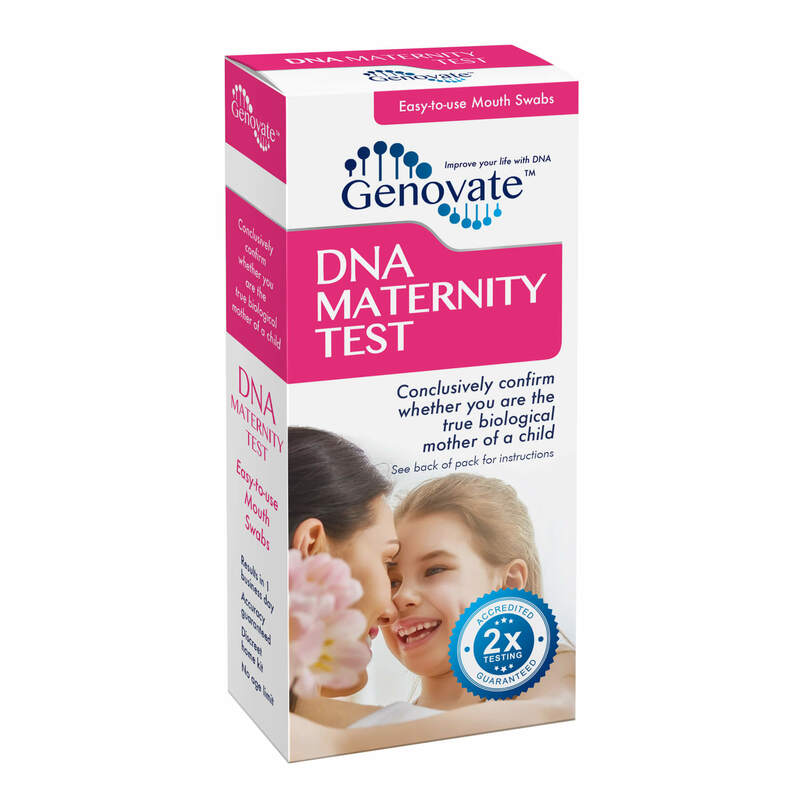 The sample contains cells, and most of the cells in our body contain a full set of genetic information in the form of DNA (deoxyribonucleic acid). A person’s DNA represents a “genetic blueprint” and, like a fingerprint, it is unique to each individual. Your results will show two numbers (alleles) that indicate the number of repeats that you received from each parent at each STR. 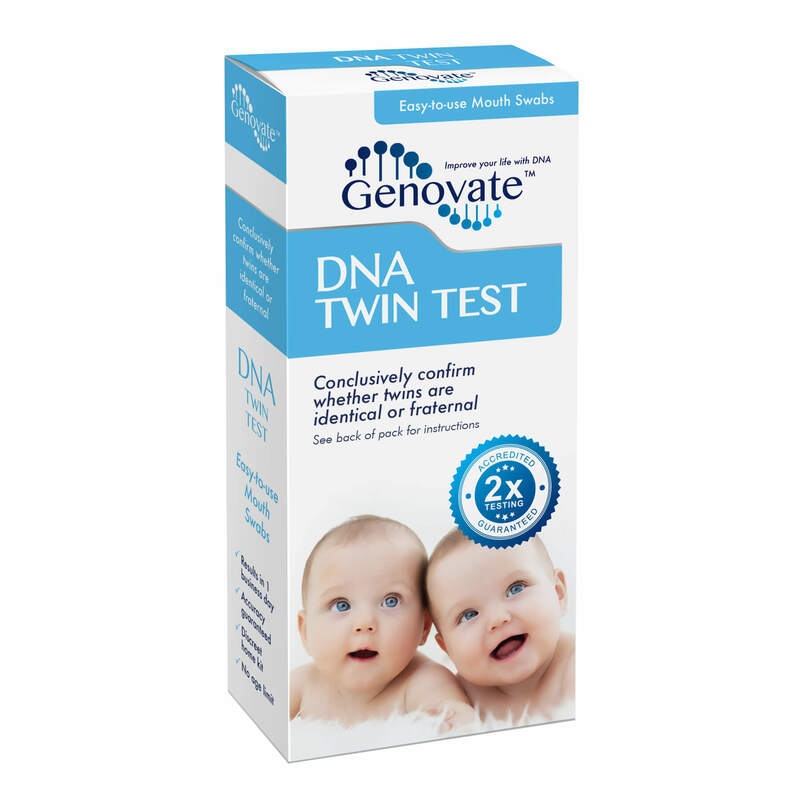 You may have two identical alleles at a marker, or you may have two different alleles. These allele numbers are compared between the alleged grandparent and grandchild, and a statistical analysis is performed based on the match type typically expected for true biologically related grandparent/grandchild pairs. True biologically related grandparent/grandchild pairs are expected to have a grandparentage index value greater than 1.0. The greater the grandparentage index value over 1.0, the higher the likelihood that the two individuals are biologically related as grandparent/grandchild. Individuals who are not grandparent/grandchild are expected to have a grandparentage index value that is less than 1.0. 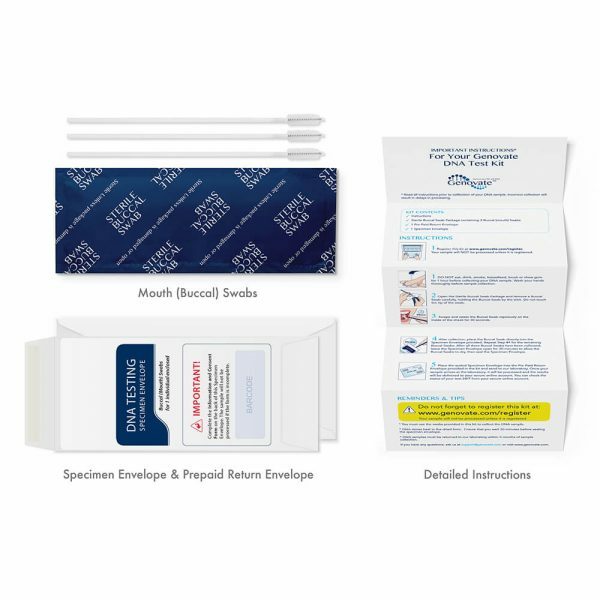 Yes, the kit can be split and the sample collection components sent to each address separately. The collection components are individually barcoded, and will be tested together once the samples arrive at the laboratory. To order a split kit, please write the following into the Order notes box of the online order form “Please split kit”. Please also indicate the name and address to send each component. For example, please state “send the Alleged Grandparent’s portion to… (specify name and address)” and “send the Child’s portion to… (specify name and address)”.